If you haven’t already got on board with the totally insane story of Gypsy Rose Blanchard, Munchausen Syndrome and murder, get ready for your new obsession. Hulu debuts its dramatized version with The Act starring Patricia Arquette Wednesday. 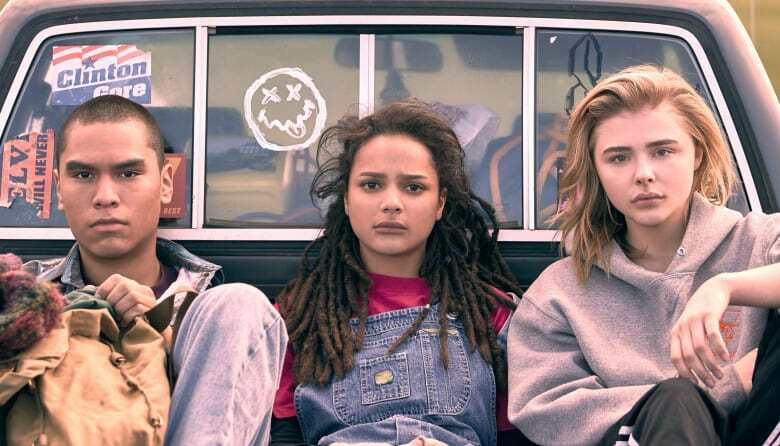 One of last year’s gripping stories of gay conversion therapy, The Miseducation of Cameron Post, hits HBO Wednesday at 9:45 p.m. Eastern. Starring Chloé Grace Moretz, the film follows a teen in the 1990s sent to a gay conversion camp. Stop relying on that body-ody-ody politic! This week’s RuPaul’s Drag Race puts a musical spin on our current political nightmare with guest judges Tiffany “New York” Pollard and Joel McHale Thursday at 9 p.m. Eastern on VH1. Check out a clip from last week above, and catch up with our recaps. Chances are if you’ve seen Netflix’s original series The OA, you probably have strong feelings. The mind-bending sci-fi series returns for another wild run Friday. If you’re into near-death experiences, ragtag groups of misfits and interpretative dance that may or may not enable you to travel space and time, give it a watch. Starring trans actor Ian Alexander. Showtime’s Funny Women of a Certain Age lets it all hang out with a cast of bawdy comedians led by Fran Drescher. The stand-up special drops Saturday at 9 p.m. Eastern on Showtime.